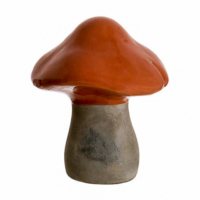 Fake mushroom by Amazing Produce comes with the tops, foundations and durable stoneware material. These are perfect for occasion decoration. Some variations in the mushrooms make them look even more real. Similarly, like our other products, our mushrooms are made with quality material. In addition, you can use these artificial mushrooms for your children’s education and of course to decorate your kitchen or dining room. You can put our mushrooms even in the water to help you produce decorative decorating effect. We provide the best quality material for every kind of mushrooms. Furthermore, we have a wide range of mushrooms available to help you decorate your events. Most of all, the Amazing Produce mushrooms can be the item to choose for your personal or professional event decorations.